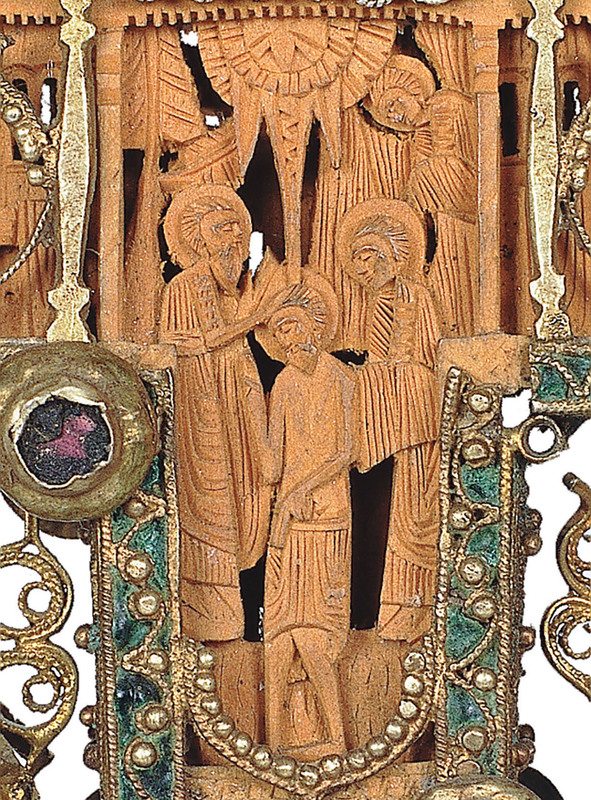 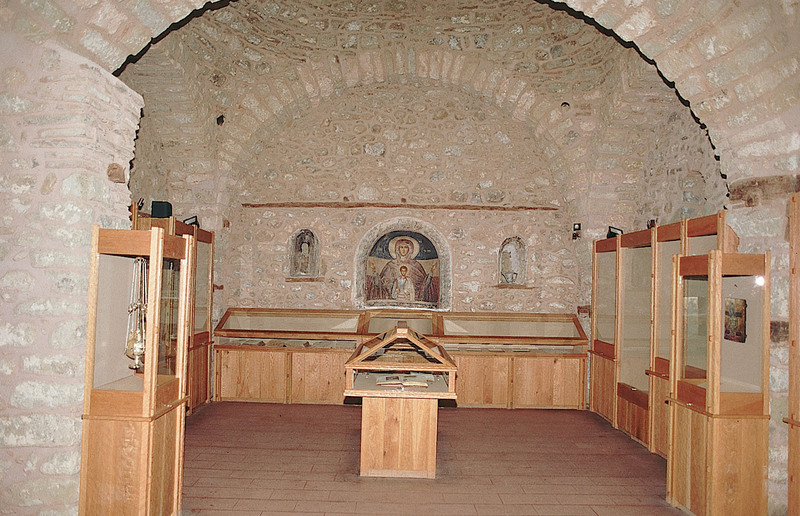 In the old refectory which is rearranged to a museum today, are exposed many precious heirlooms of the monastery such as post-byzantine portable icons, gold embroidered vestments, wood-carved and of silver casing setcrosses, elaborated silver pieces of art cincences, communion cups etc). 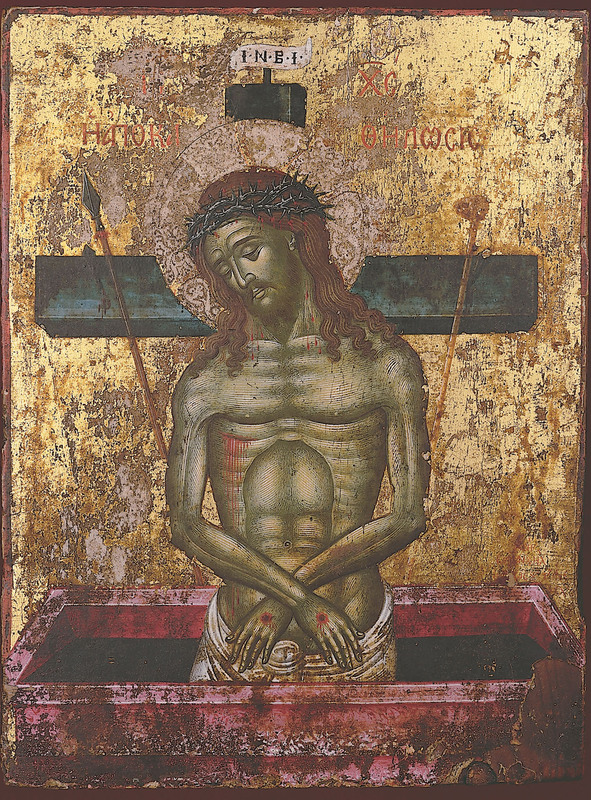 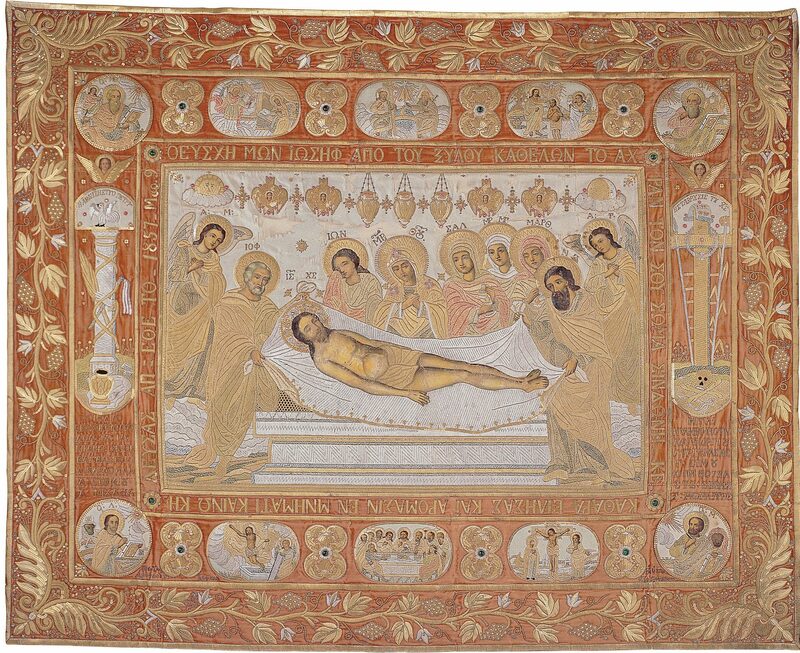 Among the portable icons, of great importance is the “Apokathelosis” (the Deposition from the cross), a masterpiece by the great Cretan painter Emmanuel Jane (17th cent.). 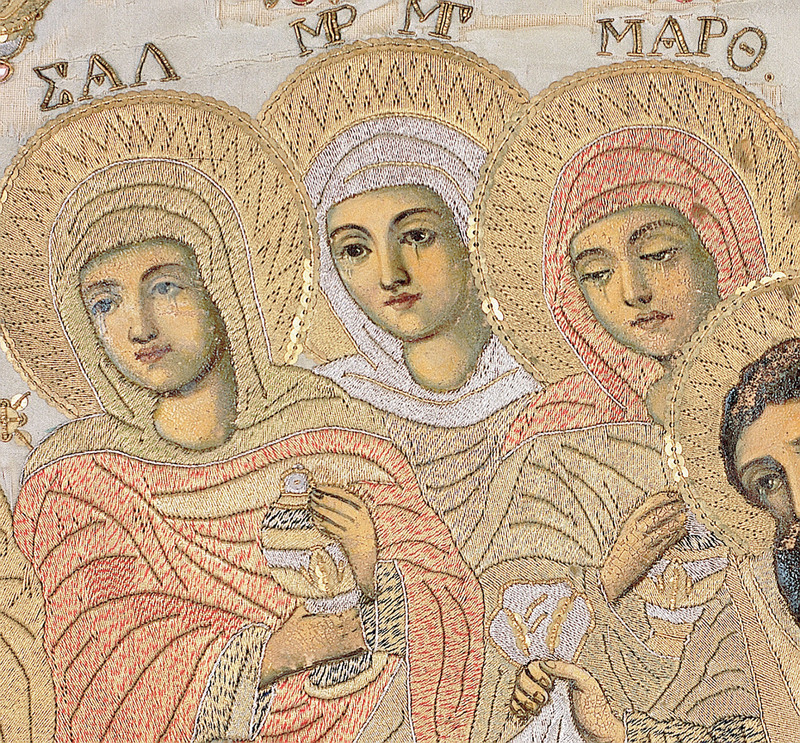 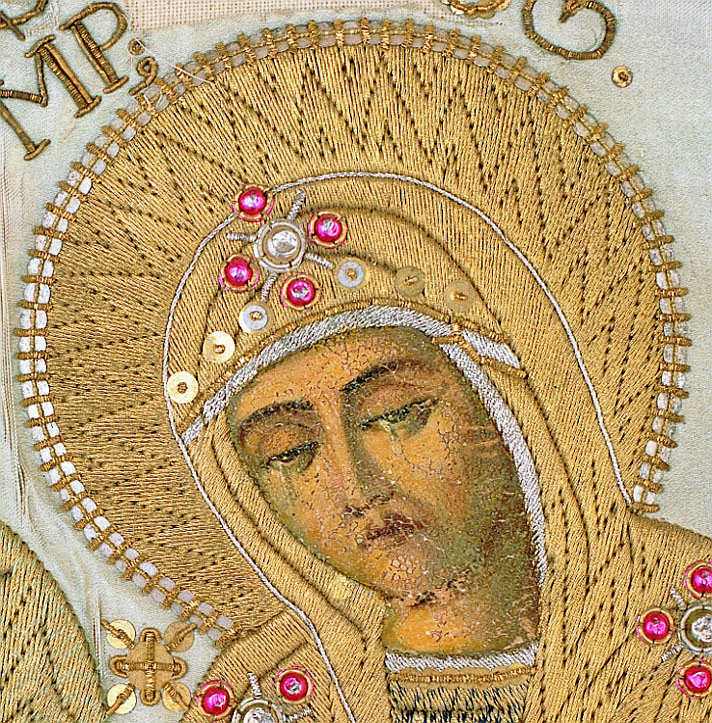 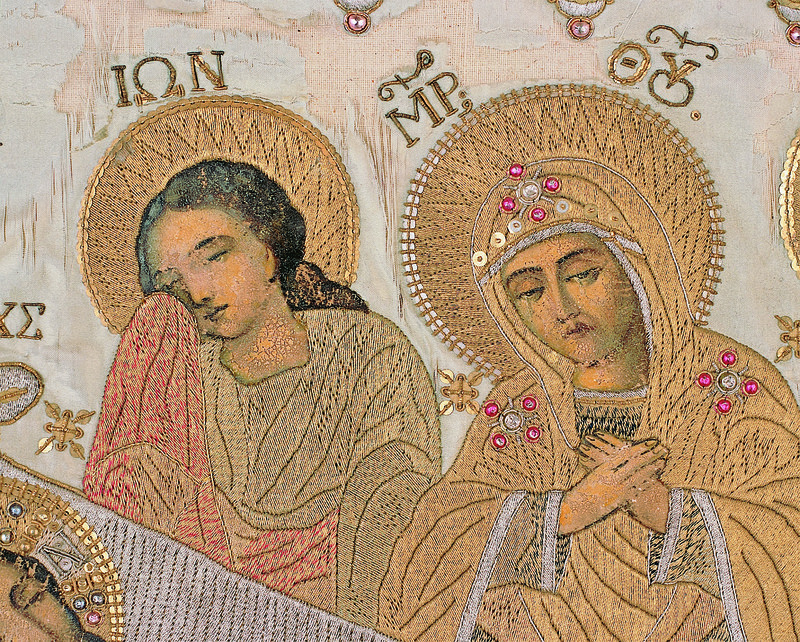 Astonishing is the gold-embroidered epitaphios of the year 1857 with a main many-figured composition and collateral representations on the border (the four Evangelists at the corners, the Annunciation, the Holy Trinity and the Baptism on the upper register, while the Last Supper, the Crucifixion and the Resurrection on the lower ornated with vignettes). 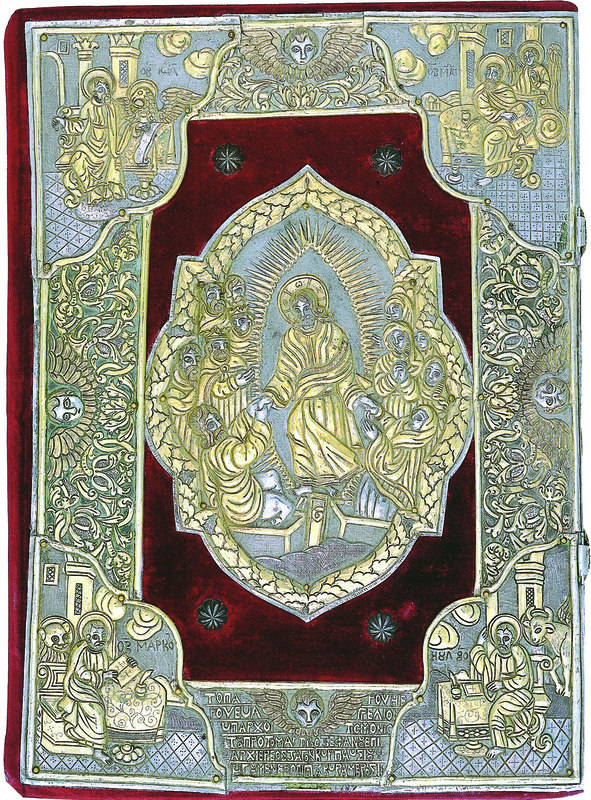 Of great artistic value are the magnificently gilded wood-carved Royal Doors of St. Stephen’s iconostasis with the regular representation of the Annunciation on the upper part. 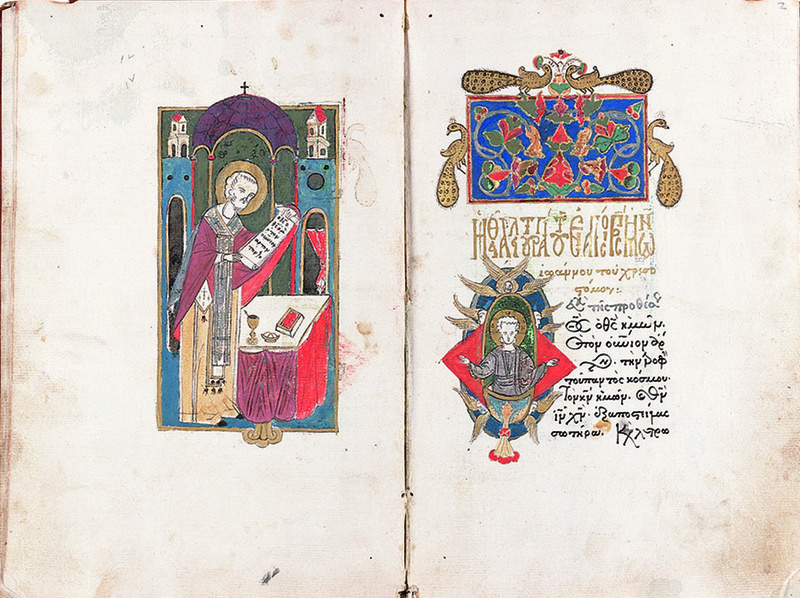 In the monastery are kept nowadays 147 manuscripts, a lot of which are ornated with miniatures of fine artistry, elaborated headpieces and colorful, decorative initials. 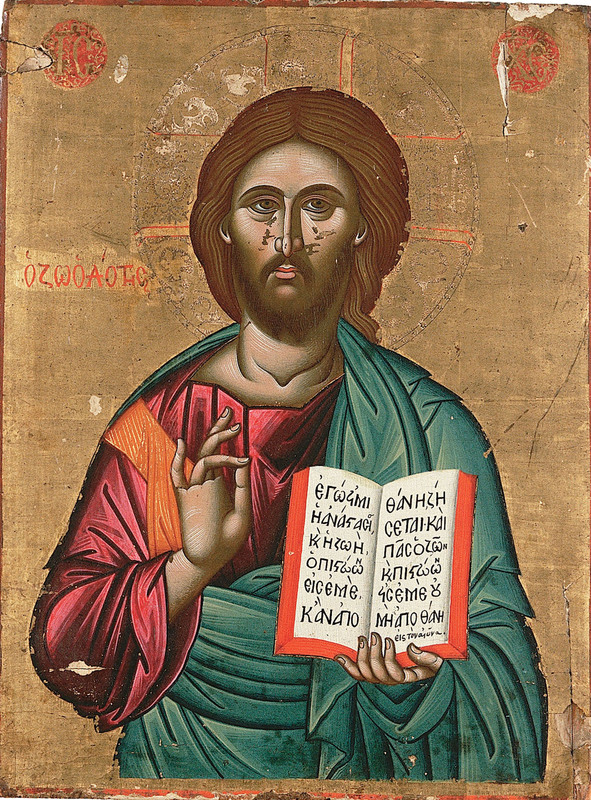 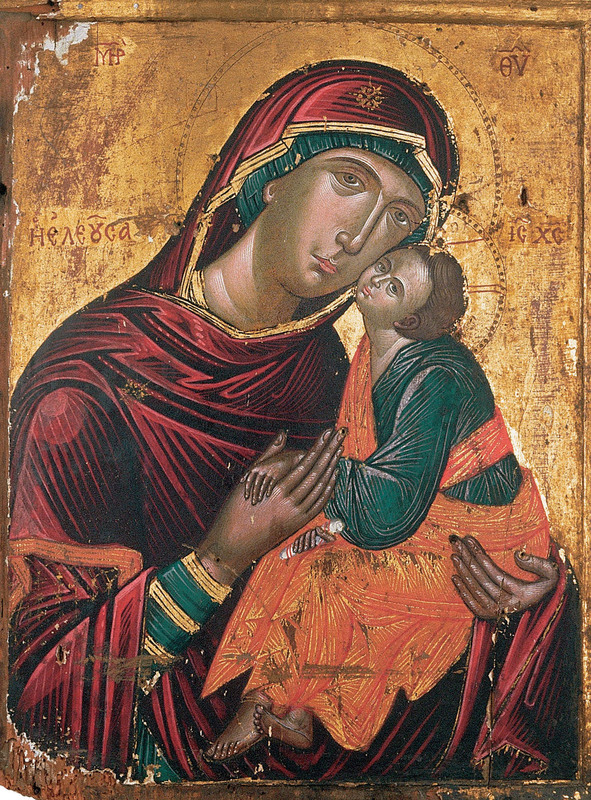 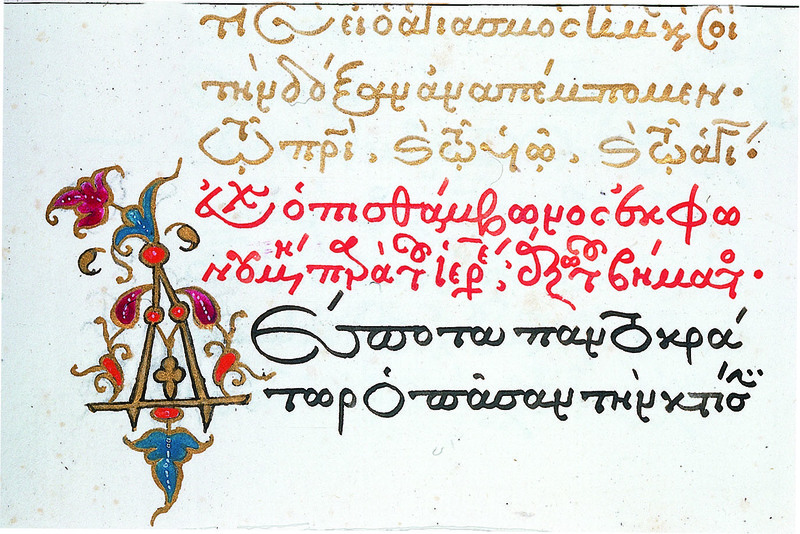 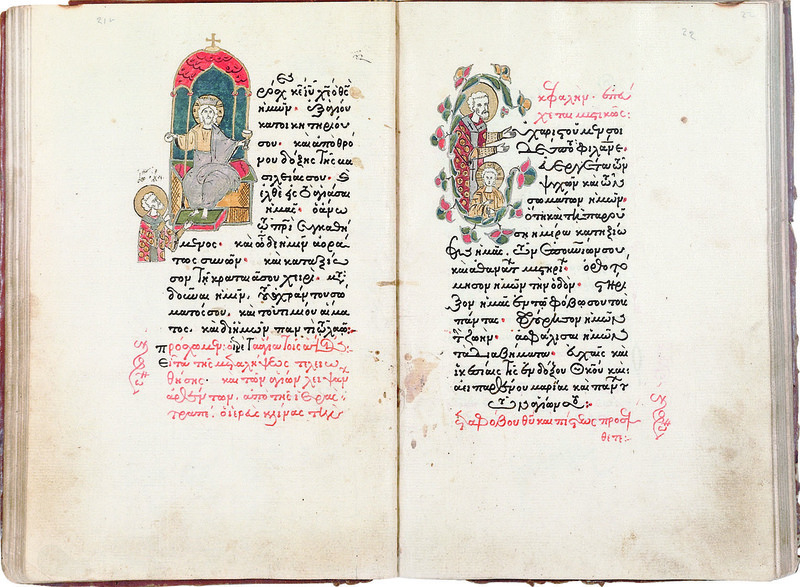 Among the famous calligraphers-illuminators of the middle of the 17th century we have to mention the artistic set of Luke from Hungarovlachia and Matthew from Myrea, the priest-monk Anthimos from Giannena and the bishop of Sides and later of Ganos Iakovos. 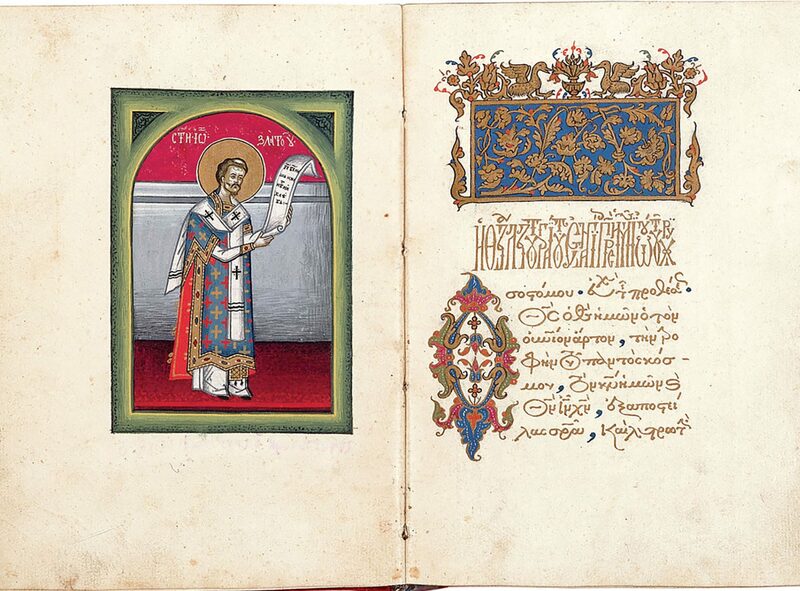 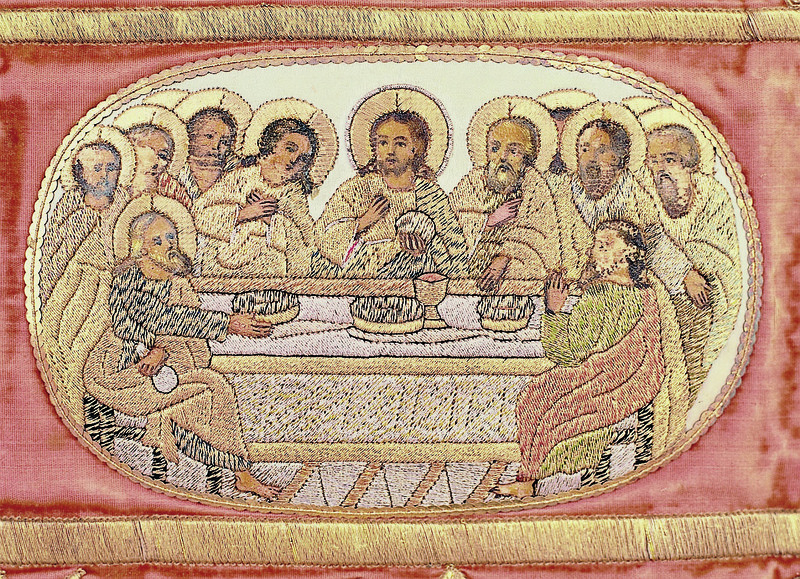 Among the most remarkable manuscripts exposed in the museum, four folios in vellum of the 16th/17th century are very important for their palaeographic value including extracts from St. Matthew’s Gospel in majuscule script. 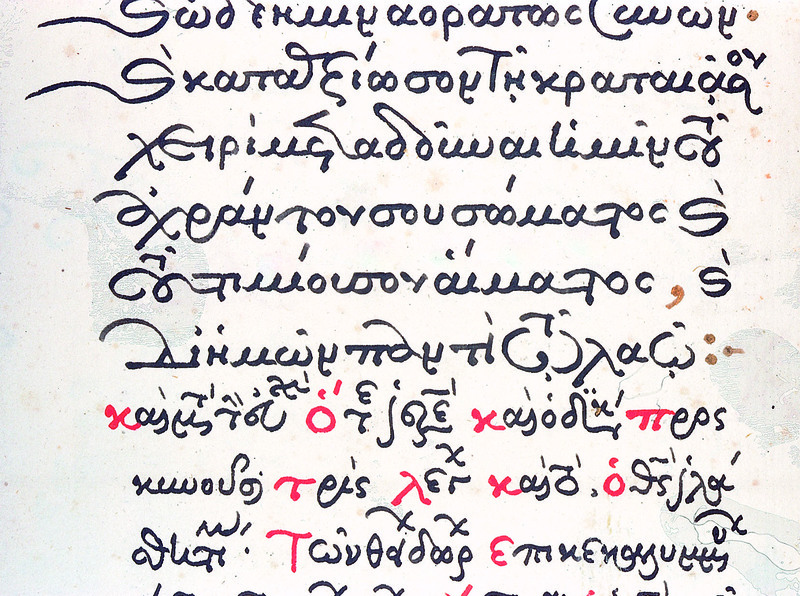 There is also a rich and rare collection of palaetypes.